The 2010 Toyota Sienna was sold in five versions, including eight- or seven-passenger models, with varying trim levels and front-wheel drive or all-wheel drive. In 2010, Toyota was still grappling with its unintended acceleration/sticky floor mat/wonky gas pedal/ineffective brake pedal imbroglio. But one of the few models in the company’s stable not affected was the Sienna. If you liked minivans, the 2010 Sienna has all the necessary ingredients. It goes about its business efficiently and unobtrusively. At the time, it was also the only minivan on the market available with all-wheel-drive. Power is provided by a 3.5-litre V6 engine that features Toyota’s variable valve timing system and develops 266 horsepower. This engine was found elsewhere in Toyota’s lineup at the time – the Venza and Camry, for example – and was a nice fit in the Sienna. A five-speed automatic was the only transmission choice. This Sienna is wider and features a longer wheelbase than its chief competitor at the time, the Honda Odyssey. Brakes are discs at all four corners, with an anti-lock braking system (ABS) and a brake force distribution system. Like the Odyssey of the same generation, it can more than hold its own on the freeway. Toyota offered this iteration of the Sienna in five versions. 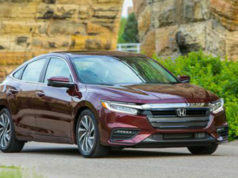 You could get it as an eight- or seven-passenger model, with varying trim levels and front-wheel drive or all-wheel drive. Toyota has always had a habit of lumping its extras into various packages: you can’t get item A unless you order item B and C as well, and options included a Value Package, which came with a leather interior, power passenger front seat, power rear door and heated front seats, among other things. Other standard equipment included in this model: one touch up/down power driver’s seat window, cruise control, power side doors, a “conversation mirror,” steering-wheel-mounted stereo controls and one of my favourites, front seat armrests. In terms of seating layout, the third-row seats fold into the floor by pulling on a couple of straps, but if you want a completely empty interior for carrying cargo and so on, the centre seats need to be detached and removed from the vehicle. With all the seats out of the way, this Sienna offers 4,216 litres of cargo space, which is actually slightly more than the Odyssey of the same year. 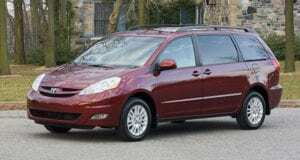 Transport Canada has one safety recall on file for the 2010 Sienna, and it actually applies to all models, going right back to 1998. Apparently, the spare tire carrier, which is slung under the back of the vehicle, can come loose due to corrosion and the spare can fall off. That’s no big deal for the driver but a bit of a problem for the guy behind. Consumer Reports loved the 2010 Sienna. It received this organization’s highest ratings in virtually every area. There were some minor issues with the ubiquitous “squeaks and rattles” and body hardware, but otherwise, it was all sweetness and light. Marketing researcher J.D. Power was equally positive, with a few caveats. In 2010, it bestowed its Initial Quality Study Dependability Award on the minivan and the Sienna received top marks for overall dependability. 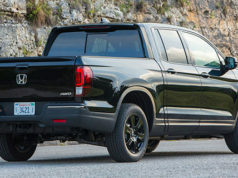 Things like style, comfort and features/accessories dependability get average marks, but powertrain and overall mechanical quality get top billing. Alternatives: Kia Sedona, Hyundai Entourage, Volkswagen Routan, Honda Odyssey, Dodge Grand Caravan, Nissan Quest.